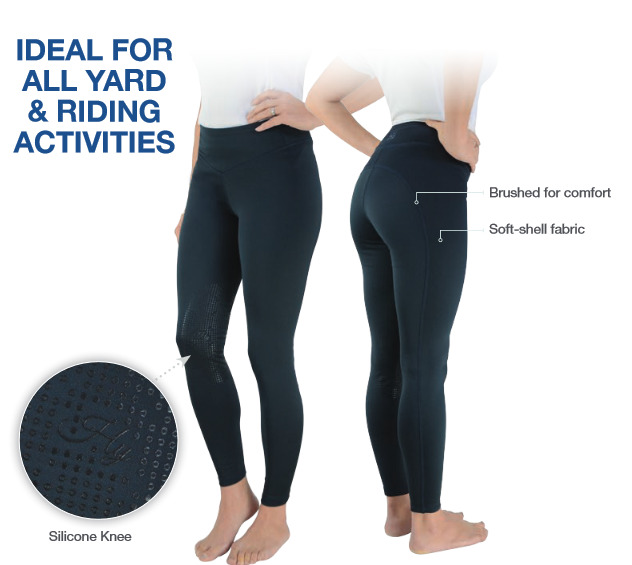 Designed for everyday riding, these flattering and flexible black tights in a soft-shell fabric have a stretch waistband for comfort and a brushed fleece lining for warmth. Silicone knee patches aid stability and security in the saddle and the Hy logo is printed on the back. There are currently no questions for HyPERFORMANCE Oslo Softshell Riding Tights - be the first to ask one!